In our ongoing series of India’s BEST modified cars, here is the twelfth edition. The Cruze is a quite a common car to modify. Most people opt for aftermarket tail lamps that make the rear end resemble that of a BMW 7 Series. However, there are some owners out there who want their ride to stand out and are willing to go the extra mile for it. This owner has got his car re-sprayed in pearl yellow which certainly looks nice. We guess the Camaro was the inspiration for this colour choice. Other than that, there is a Motormind body kit on the car which gives it more aggression. The kit includes a new bonnet which has hood scoops and has a lot more muscle, a new bumper, side skirts and a new rear bumper as well. As with most of the Cruzes, this one too has aftermarket headlamps and tail lamps. To round up, this car sits on 18″ Avanti rims. The Hyundai Creta is fairly popular. Even though it is priced on the higher side, it continues to lead the segment, beating the Duster by quite a bit. This one featured here has recently been polished and looks nice and shiny. Other than the glossy paint finish, the car features a new bumper with powerful LEDs that replace the foglamp cluster. There is a new bull guard which has been added as well which doesn’t look very bulky. It looks like a part of the bumper which is very nice. 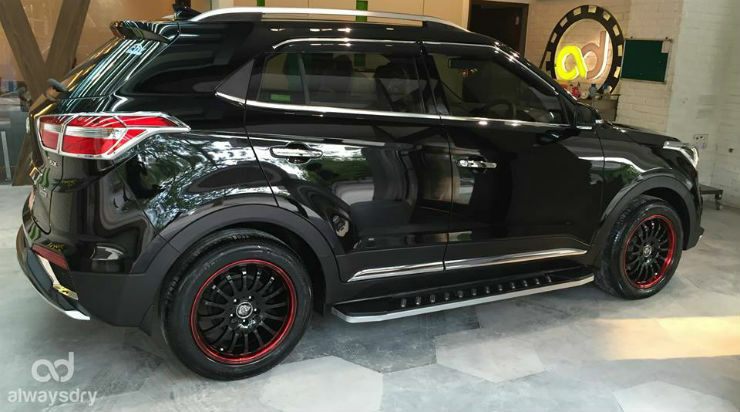 The vehicle also features aftermarket rims which have been painted black with red outer surface. The owner has added in a side step as well to the car. 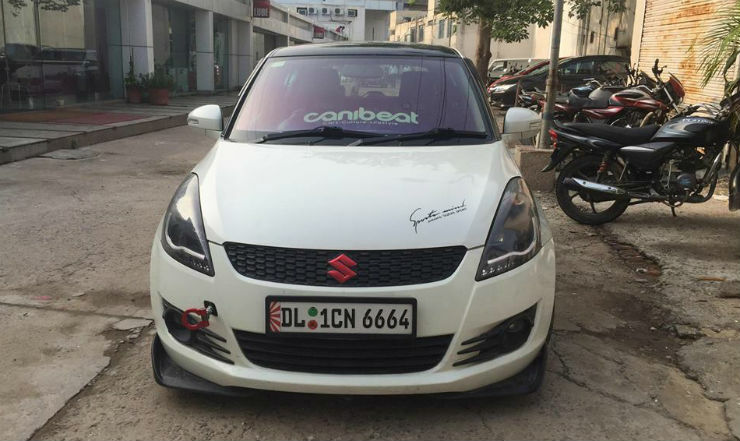 The Swift is India’s most modified car. Here is one more example of a well done up Swift. 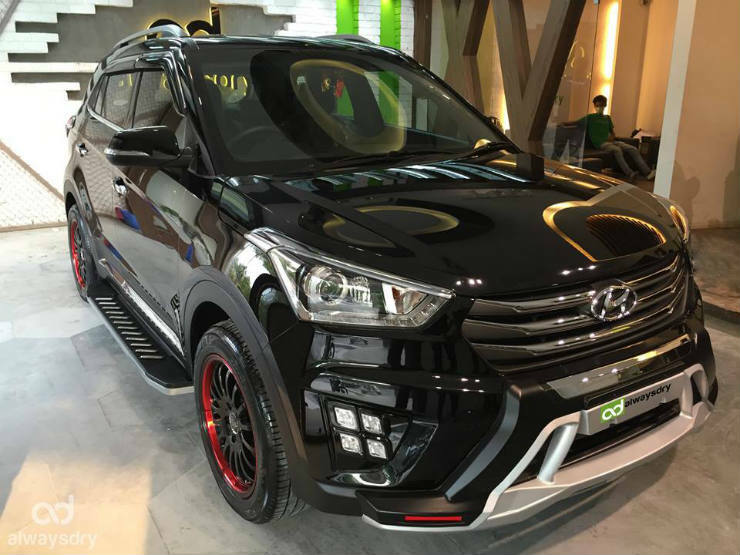 On the visual front, the vehicle features a custom body kit which is finished in black. In addition to that, it has a massive spoiler. The rims have been upgraded to 16″ Momo Revenge alloys. Aftermarket headlamps and tail lamps have also been added. Under the hood, the vehicle features a T-o-T remap which claims output to be 97 Bhp and 250 Nm. In addition to the remap, it features a custom exhaust and BMC airfilter. To improve the handling and make the car look better as well, the owner has opted to lower the vehicle with the help of Gecko Street Plus coilovers. The vehicle also has a custom audio setup. The Brio is a cute little hatchback which is highly under rated. The 1.2 liter petrol engine on the Brio is very capable since the car is so light. There are a decent amount of modified Brios in the country. 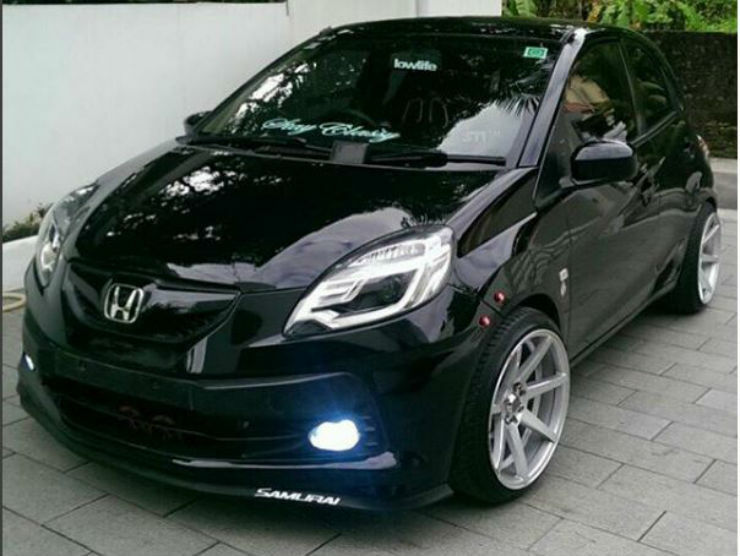 This is one aggressive and sporty looking Brio. The most notable change is the fact that this Brio is now using the Mobilio RS headlamps which look really nice. The front bumper now has a lip. The car has been lowered by using Vogtland lowering springs and now sits on 17″ concave rims. The intake has been replaced by a Simota unit and the exhaust is now a HKS one. On the inside the car features custom racing seats with 4 point racing seatbelts. The Polo makes for an interesting project car. 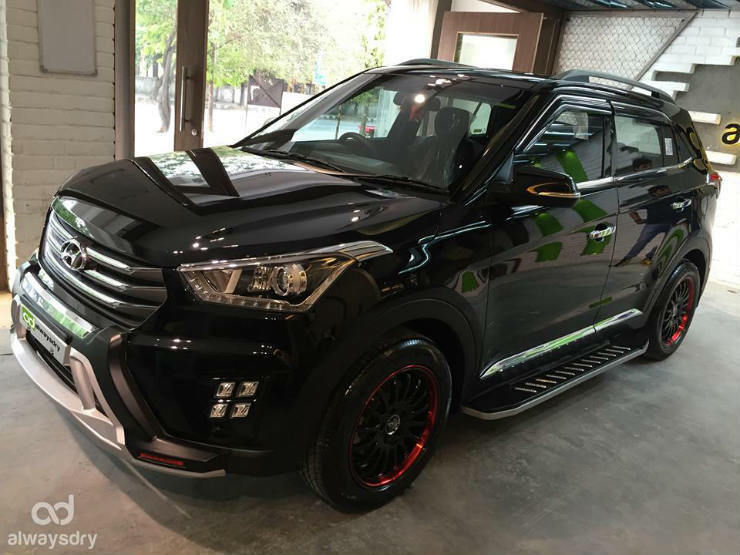 Since it is a global vehicle, there are a lot of modifications that can be done to the car visually, performance enhancing and interior improving as well. This Polo featured here is the latest one featuring a 1.5 liter diesel engine. Visually, the vehicle has a new body kit which has been done by Marvel Auto. This includes a massive front bumper similar to that on the WRC one. The foglamp housing has been omitted. There are air vents on the side of the bumper. The rear bumper has been changed as well and now has a new diffuser. The car has been lowered with Vogtland lowering springs and now sits on 17″ GTR rims.